30 Something: Where You At? So yesterday I was listening to the entertainment report on the radio and heard that R&B soulstress Jennifer Hudson has postponed her wedding - again. 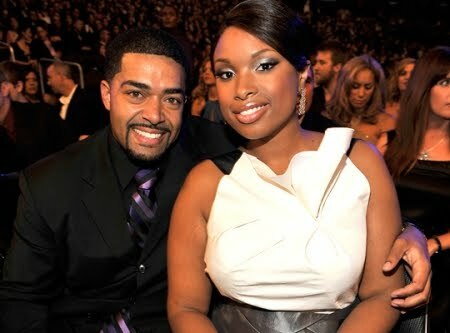 According to the report, this time its because her fiance, David Otunga, has refused to sign a prenuptial agreement. Media outlets are crediting the urban gossip website MediaTakeOut with the exclusive news. Here's the brief post. As you know, Jennifer and David have been together a few years now and have a 2-year-old son. Otunga, a Harvard graduate, appeared on the VH1 reality show I Love New York 2 and is now a WWE wrestler. And Jennifer, who's lost more than 80 pounds, is riding high with a great new album and as a successful Weight Watchers spokeswoman. (I don't even need to mention girlfriend's Oscar). Of course, this is just a rumor. But do you think it's wrong for Jennifer to ask her fiance to sign a prenup? If true, I agree they need a prenup. Both parties have every right to protect his/her interest. I don't blame her for postponing the wedding until they agree on the terms of the prenup. Better smart than sorry. She definitely needs a prenup because they won't stay married. I actually don't think they'll make it to the altar. These celebs are ridiculous and could get married at anytime if they really wanted to. They choose to not marry because there is no stigma attached to it for them and they have no regard or respect the institution of marriage. I don't know why it would be wrong for her to ask her fiance to sign a prenup. Better to do it NOW while they are still in love and can work out something to everyone's liking than wait until everybody's pissed off and wanting to hurt each other. Marriage is a promise AND a business.